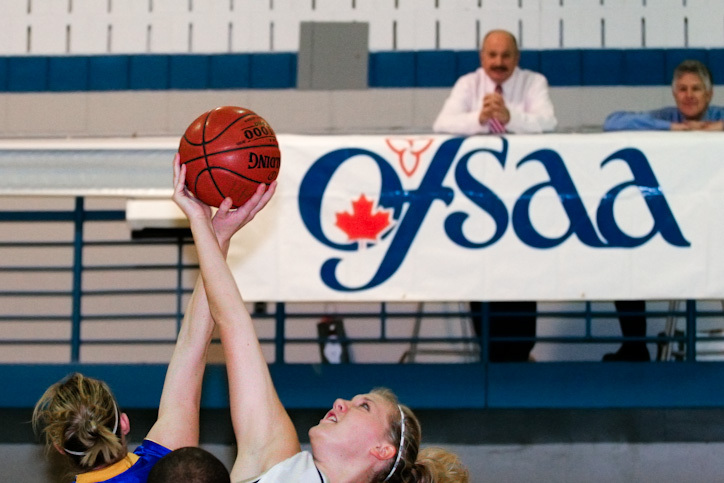 HAMILTON – Centres from St. Mary’s Crusaders and St. Anne’s Catholic High School fight for the tip off at the start of the Women’s AAAA OFSAA championship game held this weekend at Cathedral High School in Hamilton. The Crusaders took the title again in a close match – 45 to 43. Photo by Robert McKenna.